Historians believe that the first kayak was made four thousand years ago. Two tribes from Arctic North America built and used kayaks. They were the Aleut and Inuit tribes. They created these practical vessels in order to hunt effectively…and in order to get from Point A to Point B.
Aleut tribe members historically inhabited the Shumagin Islands, the Aleutian Islands and the westernmost portion of the Alaska Peninsula. The Inuit are descended from the Thule culture. Inuits emerged from the west of Alaska in 1000 CE. The Inuits split off from the Aleuts around the time when the first kayak was constructed. How Were Primitive Kayaks Made? Some of these early kayaks were crafted from lightweight driftwood, while others were made with whalebone frames which were covered in stretched animal skins. Sealskin was the preferred animal pelt for the construction of primitive kayaks. Whale fat was used to make these primitive vessels waterproof. Also, Aleut and Inuit craftsmen would make their watercraft more buoyant by filling the bladders of seals with air and then placing these bladders in the fore and aft portions of the kayaks. These kayaks had holes in their middle sections, where users could sit. Designs of these kayaks would vary depending on the region in which they were made. For example, Inuit kayaks from the Bering Straight region were wide and short, with a lot of room for storage. Shorter kayaks are easier to maneuver, but don’t track (travel in a straight line) as well as longer designs. Kayaks crafted by the Aleut tended to be longer. Longer kayaks are faster and track well. Aleut kayaks needed be be seaworthy. The laws of kayaking physics remain the same today. Shorter styles are easier to maneuver, but don’t track as well or go as fast as longer kayaks. Primitive kayaks were propelled with double-bladed paddles. Early kayaks made by these tribes are perceived to be marvels in terms of their engineering. Since modern kayak shapes are very similar to ancient kayak shapes (which were invented by these clever tribes), the Aleut and Inuit clearly knew what they were doing. These tribes made one-person kayaks which look much like the one-seater kayaks of today. However, they also made kayaks which were designed to hold whole families, plus belongings. These longer, multi-person kayaks were up to sixty feet in length and they were known as “umiaqs”. Umiaqs featured open design, unlike the one-seater kayaks, which were enclosed except for the space where the paddler would sit. Today’s tandem kayaks, which hold more than one paddler, are distant relatives of these ancient umiaqs. The compact kayaks were typically utilized for hunting. Kayak is a word which means, “boat of a hunter”. Kayaks worked very well for this purpose because they offered quiet performance. In a kayak, it is possible to get very close to prey without scaring it off. Hunters killed shore-based prey and water-based prey from right inside of their kayaks. Hunting kayaks were practical boats which helped the Aleut and Inuit tribes to survive. Nowadays, many people buy fishing kayaks. Modern-day anglers appreciate their stealthy performance, just like the hunters of the Aleut and Inuit tribes did. As time passed, kayaks began to appear in European nations. In the early to middle part of the 1800s, these boats were paddled by Frenchmen and German males. European men didn’t use the kayaks to hunt. They used them to enjoy a new and novel (and enjoyable) form of physical activity. Around this time, explorers also discovered the benefits of kayaks. South Pole and North Pole explorers began to carry them along with them on expeditions. During 1931, a kayaker called Adolf Anderle travelled down the Salzachofen Gorge by kayak. Due to his feat, he is widely considered to be the first whitewater kayaker. After he completed his trip, a new scale for rating the difficulty of rivers was established, which is still in usage today. It is The International Scale of River Difficulty. In 1936, kayak races became a part of Olympic competitions. Around this time, Americans began to develop an interest in kayaking. Women also got involved with the sport. In 1938, a female paddler named Genevieve De Colmont tackled surging whitewater on the Colorado and Green rivers. The 1950s heralded technological advancements in kayak design. Kayak design began to evolve in a big way. Fiberglass styles which were very rigid began to be manufactured. They became the most popular choices with kayaking fans and remained popular for decades, until the 80s, when polyurethane plastic styles gained ascendancy with consumers. It wasn’t until the 1970s that kayaking really entered the mainstream. These days, there are more than ten whitewater kayak events featured in Olympic competitions. The kayaks of today have the same basic shape as primitive models. 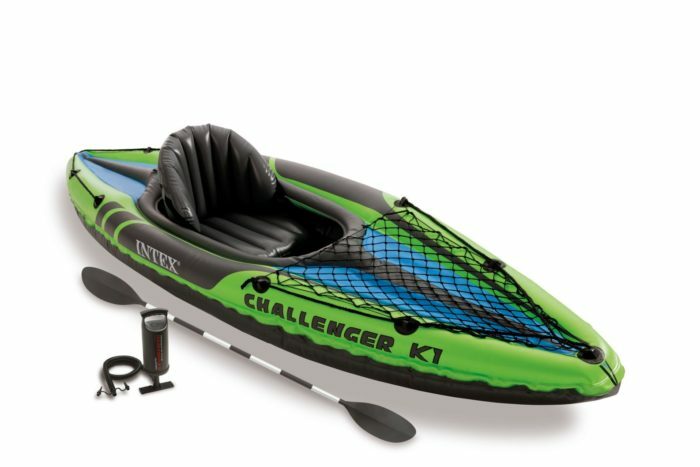 However, advances in technology mean that there are an array of options for modern kayaking enthusiasts to choose from, including cutting-edge inflatable designs. Inflatable designs of good quality are quite durable and resist punctures. They are typically used for recreational kayaking. Some higher-end inflatable styles are suitable for fishing or whitewater kayaking. Hard-shell kayaks are also popular. These are made from tough plastic or Fiberglass. Whalebone-framed and wooden kayaks with oiled sealskin covers are mostly found in museums these days. They are beautiful artifacts of another time and of two fascinating subarctic cultures. Some modern kayaks do vary from traditional Aleut and Inuit designs in terms of being sit-on-top kayaks. The ancient tribes made and used “sit-in” kayaks. Sit-on-top styles allow paddlers to get on and off of kayaks with ease. Of course, sit-in styles are still around. They are very popular now, just as they were then. Sit-on-top styles offer convenience and work well for family fun and for fishing, whereas sit-in styles tend to keep paddlers drier and work better for sea kayaking, whitewater kayaking, kayaking competitions and long voyages on rivers and lakes. Also, the latest kayaks may have added features which set them apart from the oldest kayaks. For example, fishing kayaks of today may feature fishing seats with supportive backrests. Tthey may also feature pedal drive systems (no paddling required) or motors. Some modern kayaks may also be used as stand-up paddleboards.